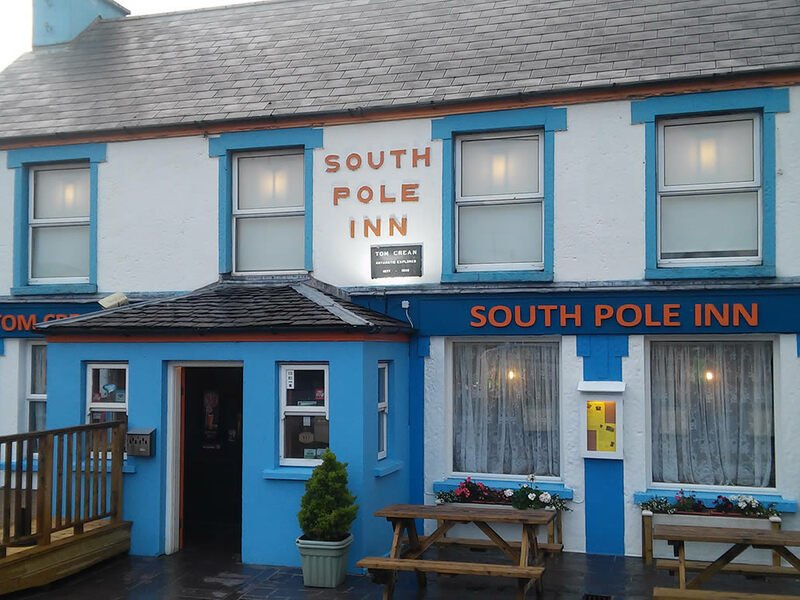 Annascaul is the home town of famous Antartic explorer Tom Crean, who was on Scott’s expedition to the South Pole and Shackleton’s voyage to Elephant Island. 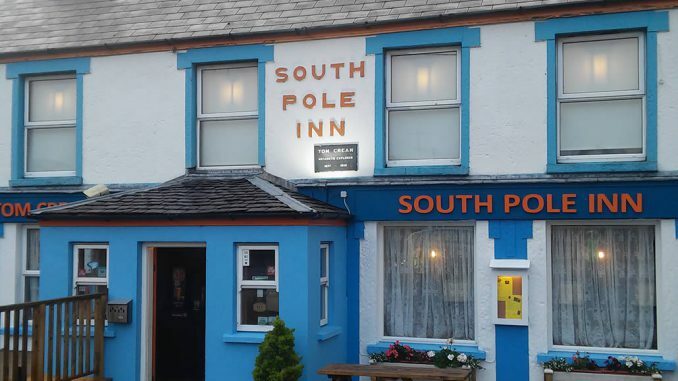 The South Pole Inn, which he owned and which is still owned by his family, contains a collection of memoribilia of his trips. A bronze statue of Tom Crean stands in the village opposite The South Pole Inn. 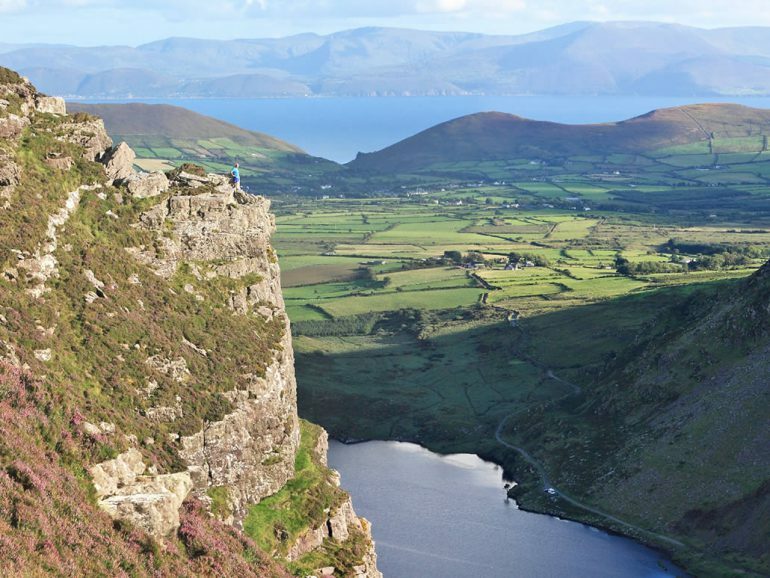 There are some nice old pubs as well as B&Bs and a hostel in the village which is a centre for walking to the various scenic locations including Mount Brandon to the north. 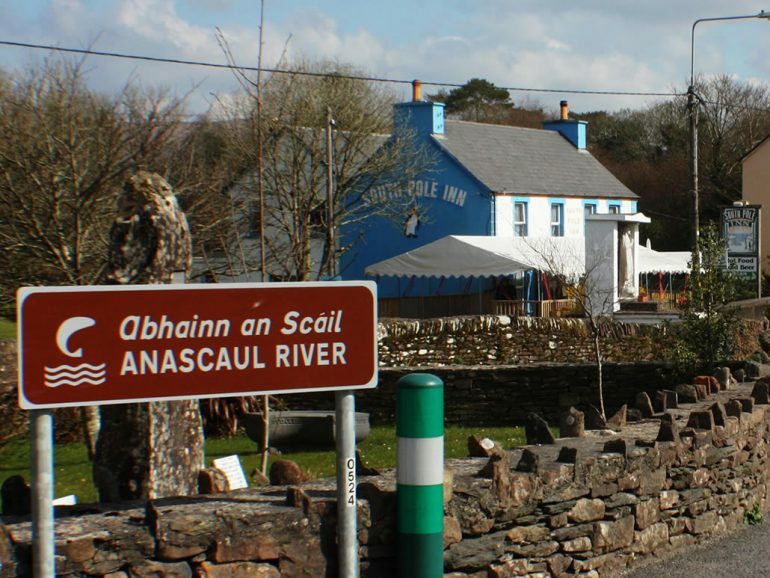 This village has a lively GAA Club.